Weekend Finds and the Plans I Have for Them	10 Of My Favorite Projects and a Big Thank you! 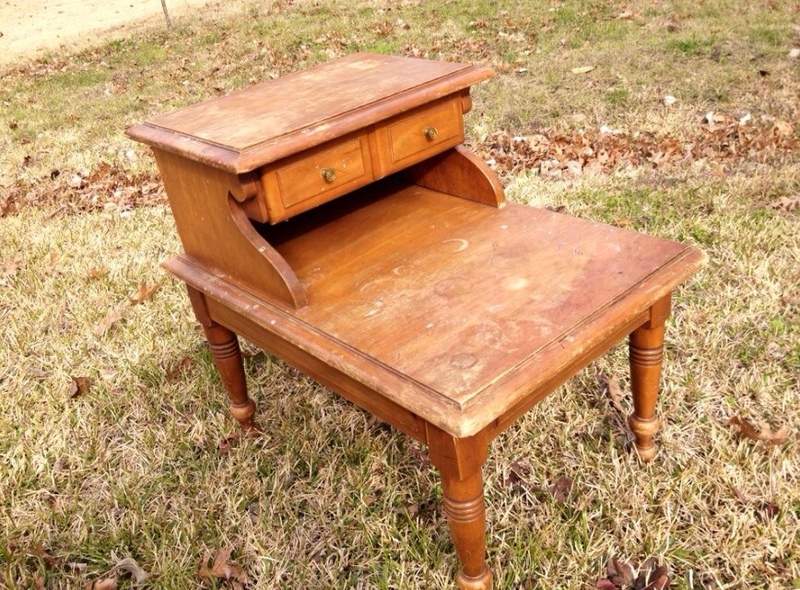 I bought this homely 1950’s end table at my favorite resale shop because it was wood, and $5.00. I did not need this table, but I knew it would find a home. I did say it was $5.00 right? 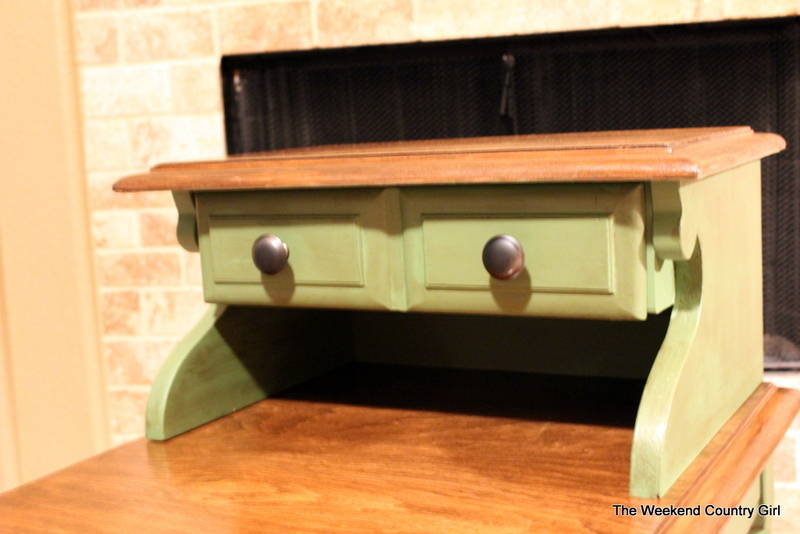 The very evening I brought this beauty home I read a request for green colored items to auction for the medical expenses of a friend’s brother in law. 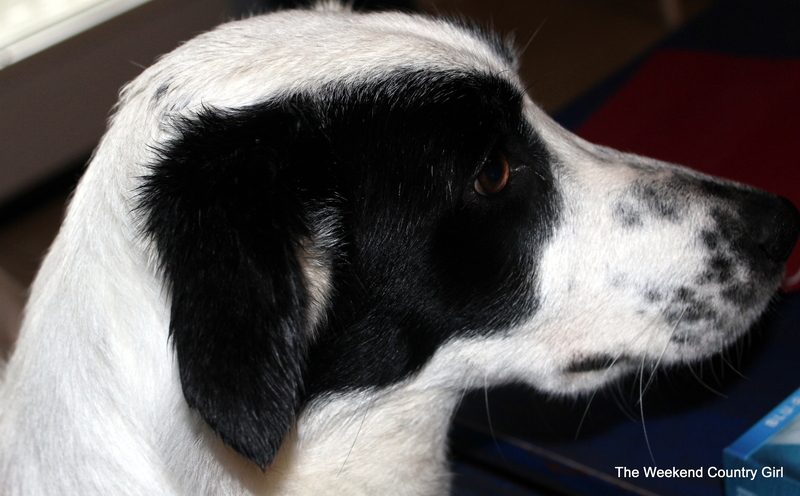 Dean has nonalcoholic cirrhosis of the liver and is in dire need of a liver transplant. He has come close a couple of times but right now he is fighting an infection and has been in a coma 23 days. The medical costs are astronomical. You can read more about Team Dean Here. 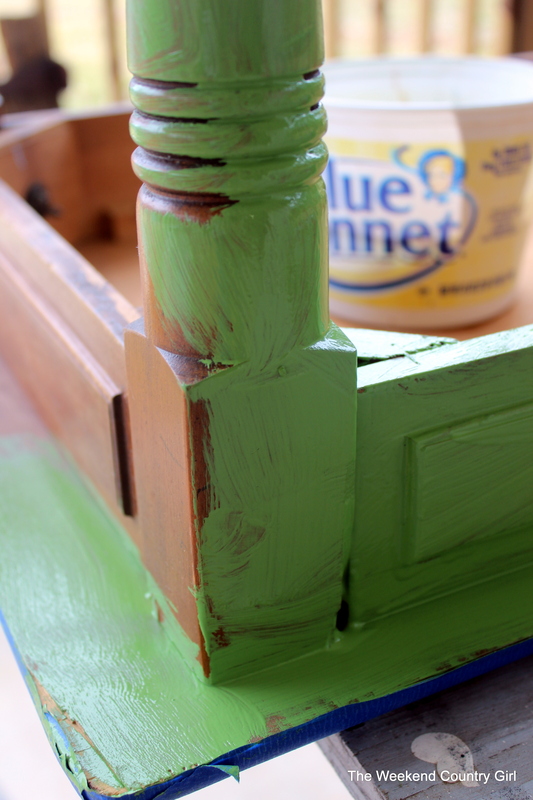 A year ago I repainted an old end table dropped off at my house “Happy Camper” green by Behr. It went to live with my friend Robin and has been very popular on Pinterest. 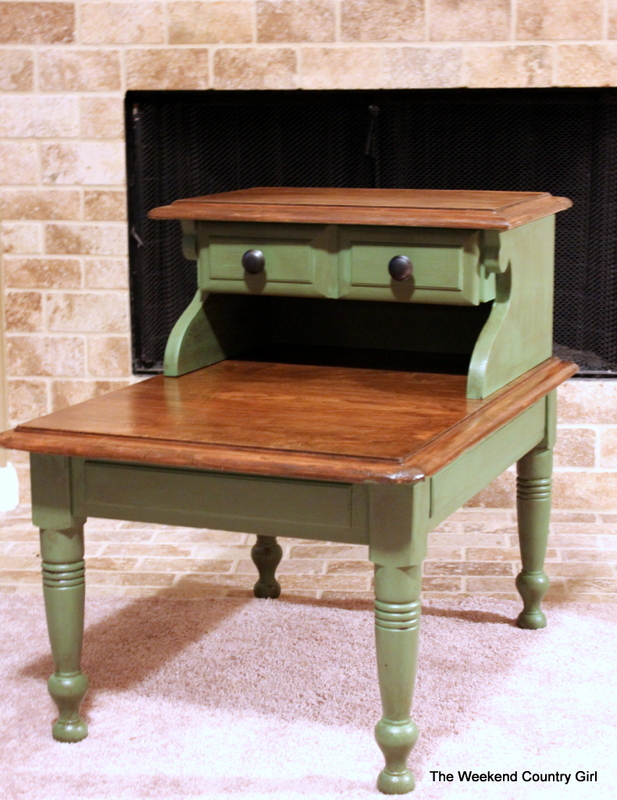 I liked it so much that I painted myself a green buffet table when we moved into our new home. 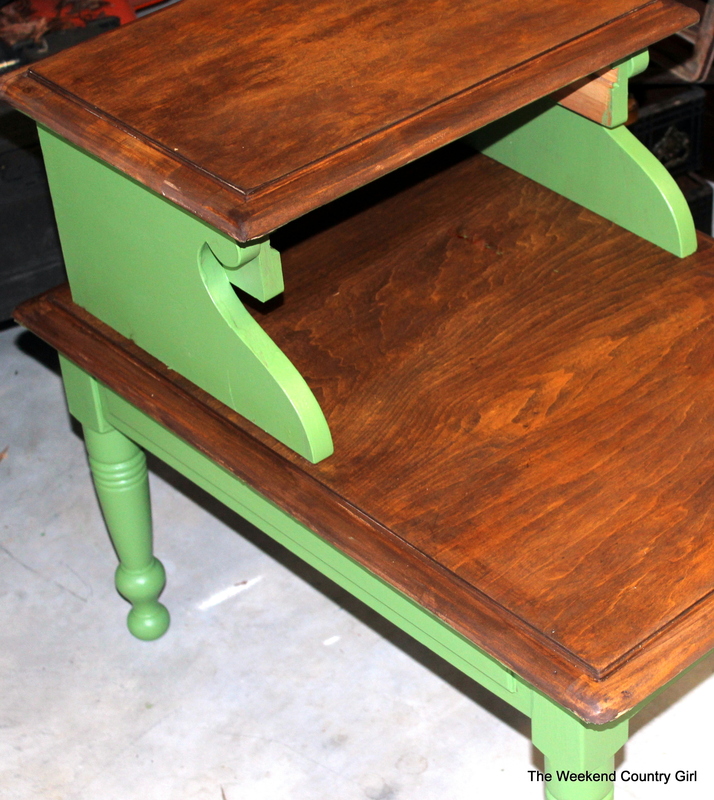 I knew the homely end table would be “Happy Camper” with walnut stained tops. Happy Camper is a color that reminds me of spring, and new life, something Dean needs right now. I have learned a thing or two about tables in the last year. I am not afraid to take them apart to sand, stain, or paint. 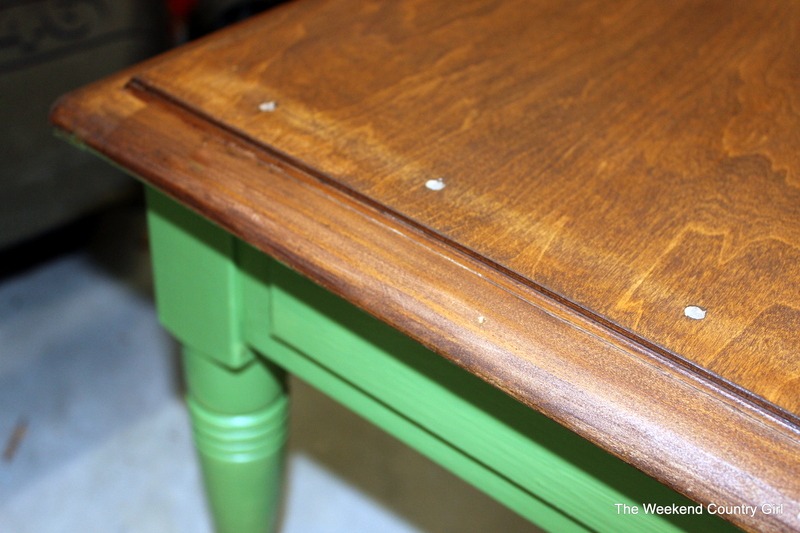 If it is screwed together, it can be unscrewed for easier refinishing. This one fought me, but Hubby stepped in and got the last two screws out for me. I was ready to get out the hack saw! 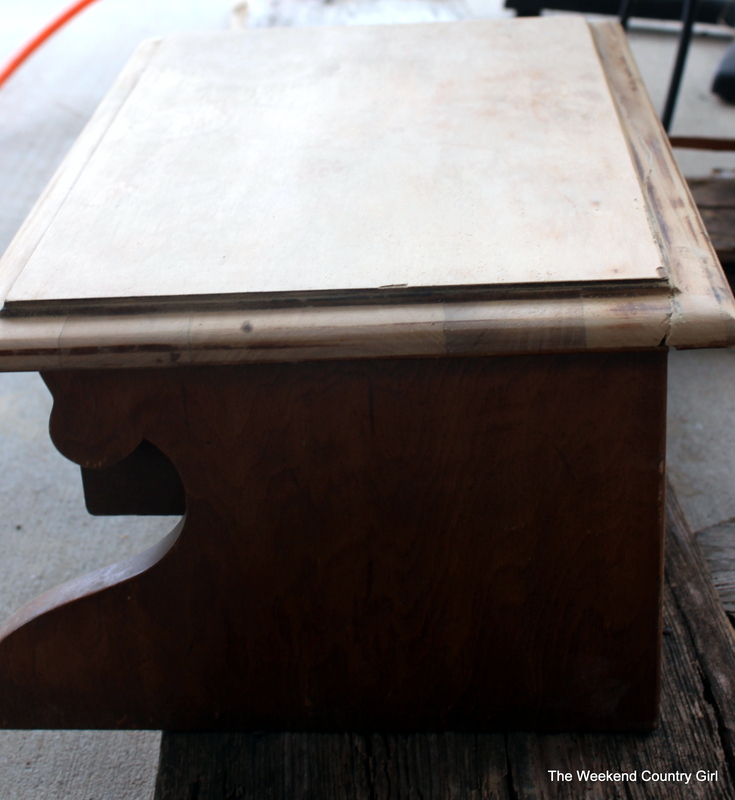 Here is the top removed and sanded. The top of both parts got sanded and repaired. There were a few cracks, dings and scratches. 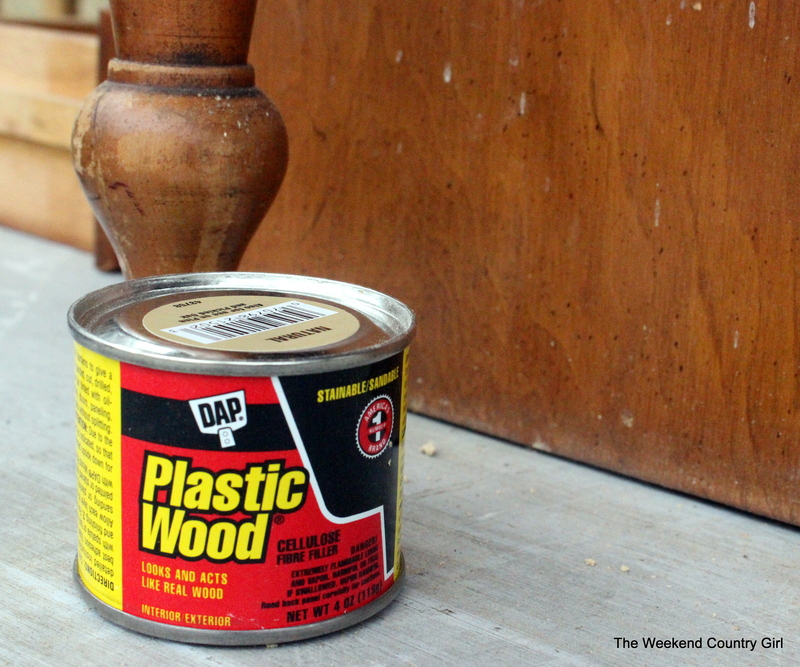 I love this wood filler. It is sort of a putty that fills in all the cracks and can be stained one it is dry. After everything was sanded. It got stained with Minwax Dark Walnut. It took two coats of stain to get it dark enough for my taste. 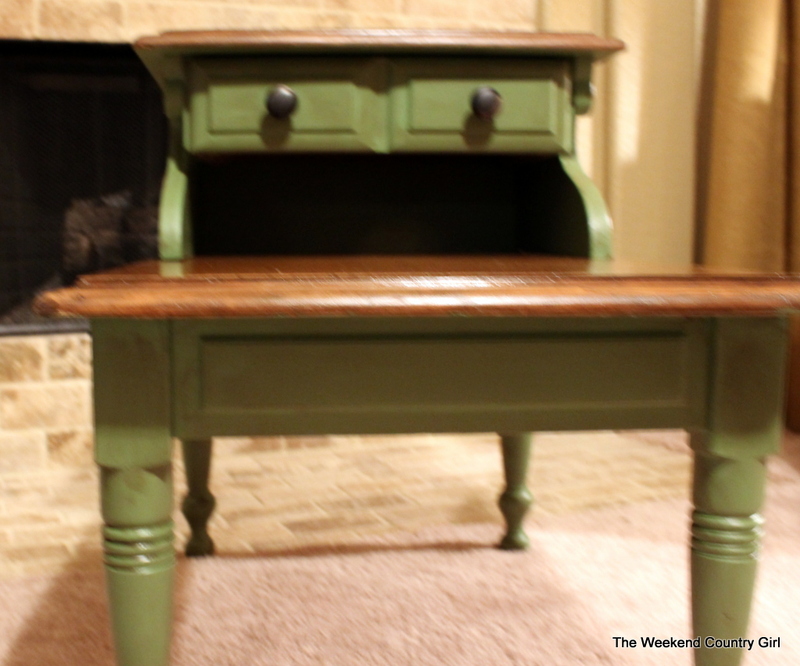 I used liquid sand on the legs and sides of the table then I slapped on a coat of the paint. It has primer in it and because it is a darker color that is going to have brown glaze over the top I did not prime the wood first. After my messy coat of paint went on, a quick sanding smoothed off any ridges. I really like how this ugly duckling transformed. I hope it makes some money for Team Dean. If you are interested in buying it now, send me a message and I will donate the money then make a second one for the event. It was not all fun and games at Star Hill this weekend. It was our first trip back to the lake with our rescue we named Lumi. (Snow in Finnish). It rained A LOT. We had one bored ten month old high energy puppy. 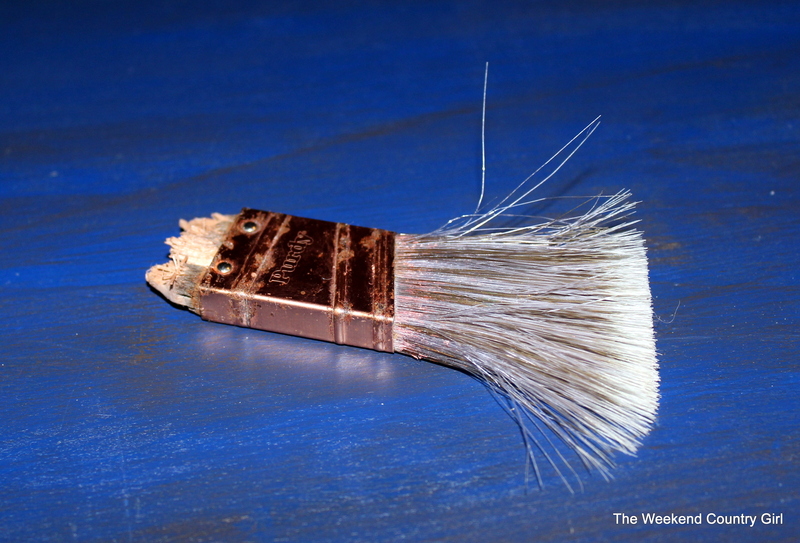 Sunday morning I found one of my paintbrushes had been destroyed. it is what I get for leaving it where it could be reached. Who wouldn’t forgive a face like this? Thank you all for the overwhelming support. The table sold last night about 10 minutes after I posted it. I am happy to be able to give back. It looks great and I love it. You did a good job.